I grew up in Burbank, California. My mom grew up in Hollywood, and my dad’s family worked in the movie & television industry providing horses, wranglers stuntmen, and wagons. Having them both as my parents definitely influenced my love of movies. I have a bachelor’s degree from the Master’s College, and attended Idaho State University with a major in English and a minor in History. I moved to Nevada in 2004. Since living here I have owned The Acting Workshop and wrote plays. 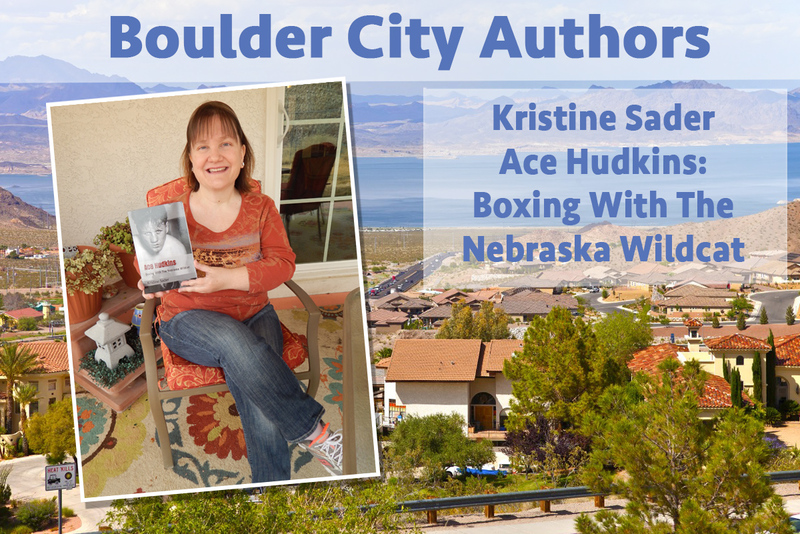 My book is Ace Hudkins: Boxing With The Nebraska Wildcat, (available on Amazon) and it tells the incredible true story of my dad’s uncle, and his brothers, in the 1920s as Ace rises through the ranks as a boxer. As he went from Nebraska, to New York, to Hollywood, with his brother as his manager, Ace came across such notables as Rudolph Valentino, Charles Lindbergh, and Mayor Fred Hesse of Las Vegas. My dad’s stories were great, and my mom encouraged me. I hope they have fun reading about this rollercoaster, Zelig-like true story. Perhaps they will gain a little more insight into the American dream during the 1920s. I published it in paperback and e-book at the very tail end of 2018, and I used Amazon and KDP, after first going to Lulu for the hardcover. I have always enjoyed a good story, whether watching one, reading one or writing one. Classic movies definitely influenced my love of history and Hollywood. We moved here in 2005. I like the proximity to Las Vegas, as we can go to shows, and then come home to our peaceful town. I love our friends here, and we have good neighbors. Biographies don’t need to be boring. Everybody has a life story. I hope the readers enjoy my book, with a few laughs, and a little scandal along the way! This year I will be completing and preparing my next book, which is the continuing the story of The Hudkins Bros. Ranch in Hollywood. I have interviewed, Clint Walker, James Drury, and many more for this upcoming book.